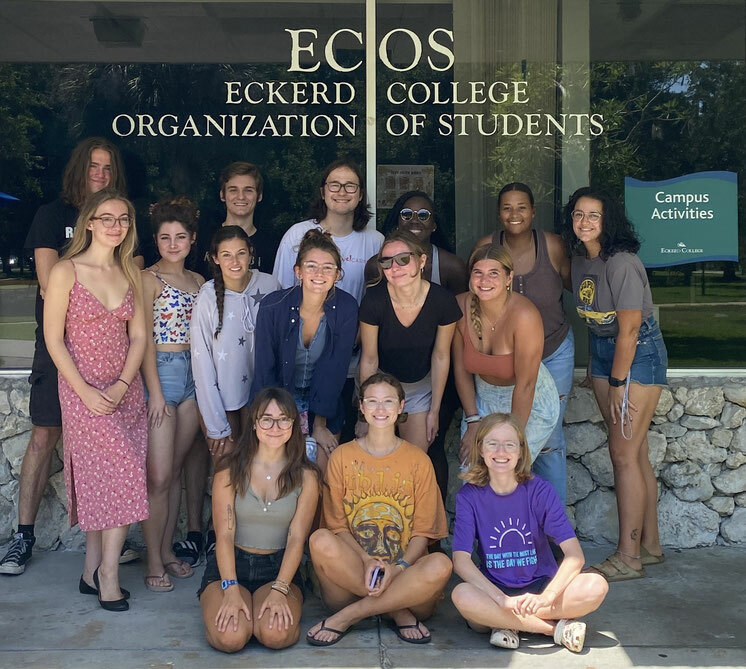 The Eckerd College Organization of Students is Eckerd's representative student government. We aim to effectively advocate for student interests and empower students to use their voice. Few schools have a student body with as much power and say as we have here. Take advantage of all the ways there are to get involved! With such an extensive student government and so many student-run clubs and organizations, there's something out there for everyone. For ideas, visit our "How to Get Involved" tab. Whether you'd like to commit to a club/organization or not, you still have the power to enact change. If you see an improvement that can be made around campus or have an idea for a project or event, let us know! Please contact us directly via the emails listed on our "Contact Us" tab. ECOS offers a variety of funding, primarily for students, but also for faculty. For more information about how to apply for ECOS funding and what it can be used for, visit "Funding" under our "Resources" tab.